The Monster Energy NASCAR Cup Series’ Food City 500 was halted by weather for a third time on a soggy Sunday afternoon at Bristol Motor Speedway. Kyle Larson was scored as the leader with 204 of a scheduled 500 laps complete. Denny Hamlin vs Joey Logano has been stealing headlines post the Bristol Motor Speedway event on Sunday. 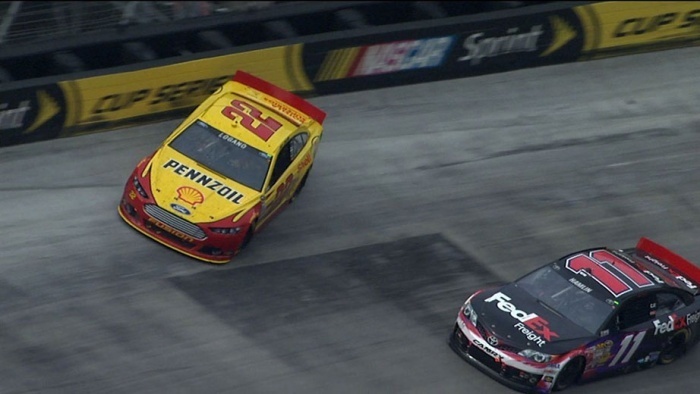 Logano slid in front of Hamlin in the closing laps of the Food City 500. In the next corner Hamlin proceeded to drive into Logano and explain that the slid job wasn’t appreciated. 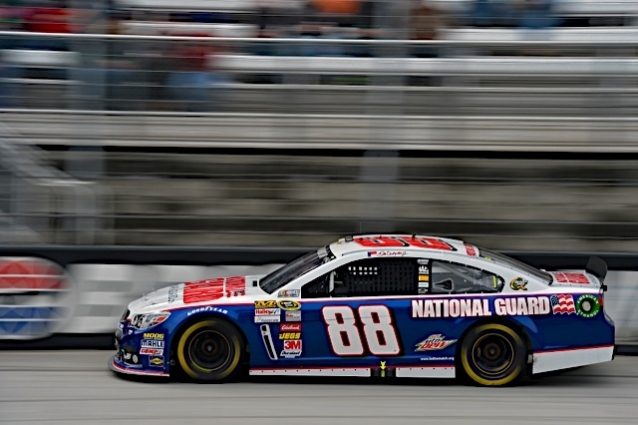 Hendrick Motorsports had a fairly good weekend at Bristol Motor Speedway with Kasey Kahne grabbing the victory. 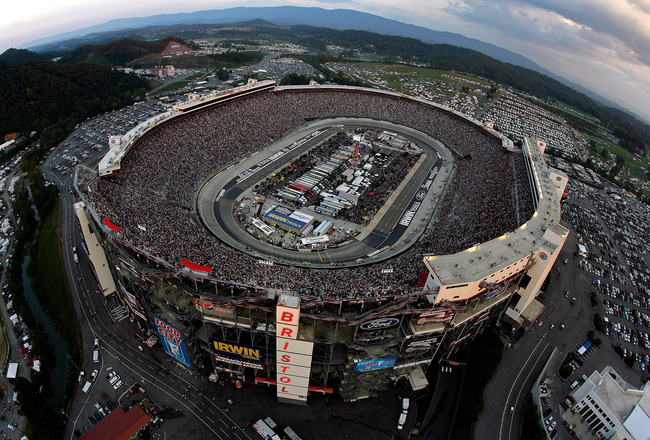 Check out these Bristol Motor Speedway photos below. Take a look at the full Food City 500 results from Bristol Motor Speedway below. Take a look at the full Bristol Motor Speedway starting lineup below. Kyle Busch drove his No. 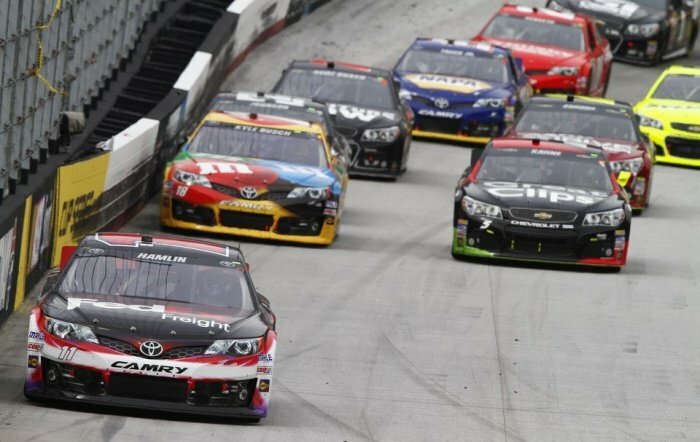 18 M&M’s Toyota to the pole in qualifying for the Food City 500 Sunday at Bristol (Tenn.) Motor Speedway.